Denver Attorney Jennifer Bisset and her team at the Bisset Law Firm have a long-standing track record of successfully resolving personal injury and workers’ compensation cases. Our record of excellence and unparalleled representation is illustrated by the following case results and noteworthy recoveries we have obtained in prior cases. WAS HE REALLY INJURED ON THE JOB? DID THE DOCTOR MAKE A MISTAKE DURING SURGERY? The client was injured on the job and needed surgery to treat a herniated disc in his neck. The workers’ compensation adjuster denied the claim after he reviewed one medical report questioning the injury – and despite the fact that three other doctors supported the injury and the claim. The client sought medical care at Kaiser, where surgery was recommended. However, the surgeon caused an injury during the surgical procedure by failing to control the tool he was using. The surgeon’s error resulted in repeated banging of the client’s spinal cord during the surgery. The workers’ compensation insurance company, Pinnacol Assurance, for the unreasonable denial of workers’ compensation benefits. The surgeon did not make any offers of settlement. Pinnacol offered $10,000 to settle the bad faith claim. Verdict & Judgment: After a nine-day jury trial, on September 3, 2010, the jury returned a verdict in favor of the client, finding that the surgeon’s negligence caused the client’s injuries. The jury entered a verdict against the doctor in the amount of $950,000. 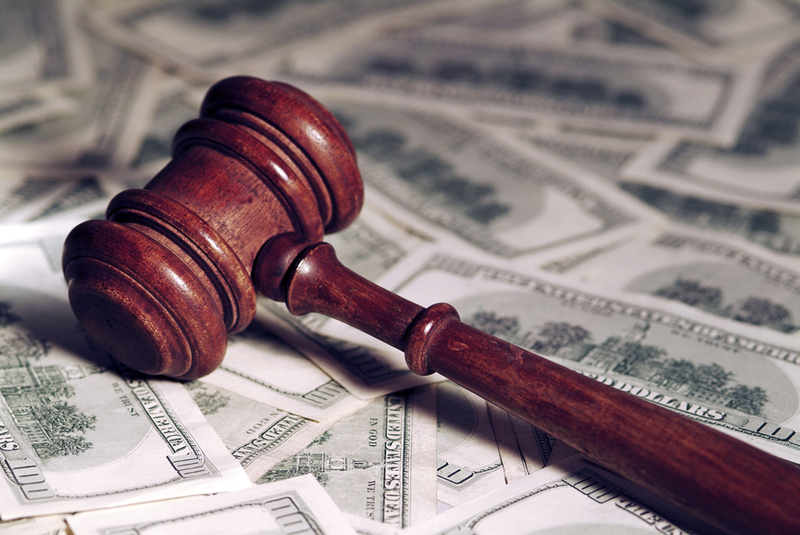 The jury found, unanimously, that Pinnacol unreasonably denied payment of client’s workers’ compensation claim and awarded damages of $375,000. Need Clear Answers about Your Recovery Options? Let’s talk about your legal needs and options. We are ready to help you devise effective strategies for developing a strong case, overcoming the challenges ahead and obtaining the best possible results. WAS THE PASSENGER REALLY INJURED WHEN SHE TRIED TO HELP THE BUS DRIVER PINNED UNDER THE BUS? The client, a passenger on a charter bus, was injured when the driver failed to follow safety rules after the wheelchair lift became stuck with a passenger onboard. The driver was unable to get the wheelchair lift to stow. So, he put the wheelchair passenger back on the lift and tried to lower it; midway down, it became stuck. The company safety rules prohibited employees from using a screwdriver as a wedge or pry bar. The wheelchair lift manufacturer also published safety rules advising against getting under a lift. Instead of calling for help or helping the passenger get off the lift, the driver got under the lift with a screwdriver, freeing the lift and causing it come down on his hand, pinning it under the lift. When he started screaming for help, the client came to his aid. She injured her back while trying to pull the passenger off the lift. As a result, she underwent multiple procedures and two back surgeries to treat the pain. Her surgeon testified that her pain is permanent and that she will have pain every day for the rest of her life. The back injuries caused the client to incur over $250,000 in medical expenses. WAS IT THE PATIENT’S FAULT SHE DIDN’T FIND OUT THE HOSPITAL LEFT A SPONGE BEHIND AFTER HER EMERGENCY C-SECTION? THE JURY DIDN’T THINK SO. During her third pregnancy, the client began experiencing premature contractions. Her husband took her to the hospital where the doctor was unable to stop the contractions. Her son was delivered by emergency C-section. The hospital’s practice was to not to perform pre-operative sponge and instrument counts because, in emergency deliveries, every second counts. The back-up plan for the hospital, the surgeon and the radiology group was to do a post-operative x-ray before discharging the patient from the operating room to confirm no foreign bodies were left behind. In this case, the post-op x-ray showed the sponge. But there was no radiologist on duty, and no one called the on-call radiologist. Additionally, the hospital did not send the film to the nighthawk service. The next day the radiologist looked at the film, reported on the presence of a foreign body in the electronic medical chart, but did not notify the surgeon. The surgeon, then, failed to “close the loop” because she did not look at the film or the report of radiologist in the medical chart. It was not until three years later, following another pregnancy, that the client discovered the reason she had so much pain following the C-section: it was the result of the doctor and the hospital leaving a sponge deep inside her abdomen. The foreign body reaction caused internal scarring, leaving her with long-term consequences. The sponge was surgically removed. Verdict & Judgment: Prior to trial, the hospital and the radiologist offered $120,000 to settle the case. The case was tried to a jury, which found in favor of the client. The jury awarded the client $425,000 in pain and suffering and $60,000 in medical expenses. Liability: Hospital: 60%; radiology group 25%; obstetrician 10%; radiologist 5%. WAS SHE REALLY HURT THAT BAD IN A CAR CRASH WITH A DRUNK DRIVER? The client was involved in a serious car crash with a drunk driver who was speeding as he exited southbound I-25 onto 6th Avenue. He was unable to control his vehicle on the curve from the exit/entrance ramp and smashed his truck into the concrete median. This caused all of the landscaping tools and debris (including a wheelbarrow) from the back of his truck to flip over the median onto the client car. She slammed on the brakes and crashed into the median trying to control her car from hitting anyone else. As a result of this accident, the client suffered multiple injuries to her back, her right hip, and her knees. Within a few short months after the accident, the client was experiencing severe pain in her right hip, causing her to undergo a hip replacement surgery and incur more than $67,000 in medical expenses. Due to compensating for the pain in her right hip, she ended up developing pain in her left knee. Her surgeon blamed her need for knee replacement surgery on the crash. As a result of these injuries and surgeries, the client had medical bills in excess of $195,264.57. She also faced challenges securing and maintaining employment because of the daily pain affecting her ability to walk and because of months of recovery time following both surgeries. Prior to the accident, the client had purchased substantial amounts of insurance ($350,000 in coverage) with State Farm to protect her in case she was involved in a serious accident with a driver with no or very little insurance. Following the accident, she turned to State Farm for assistance and additional payment of her losses under her policy. After a year of investigating her claim, State Farm denied her claim, taking the position that she had been fully compensated by the drunk driver (who paid her $24,500) and offered her $2,000. Denver Attorney Jennifer Bisset is here for you, ready to aggressively advocate your rights and help you seek compensation if you have been harmed by negligence and/or insurance bad faith. Call (303) 894-8900 or email our firm for honest, clear advice regarding your potential case and how to protect your rights as you move forward. When you partner with the Bisset Law Firm, you can expect the highest quality representation, personal service and honesty throughout the course of your case. Focused on helping our clients secure the best possible results, we can guide you through every step of the legal process as we strive to bring your case to a successful outcome. While we understand that compensation cannot negate or make up for irreversible injuries and losses, we also know how critical these recoveries are to helping victims pick up the pieces and start rebuilding their lives. For more on the Bisset Law Firm’s enduring record of excellence and success, please check out our Testimonials page. From our office in Denver, we are proud to represent injured people and families throughout the state of Colorado.